The nice thing about reading the New York Times is that you get an education in the process. Until the Sunday before last, for example, my grasp of French social pretensions in centuries past was limited to boulevardiers, salonnières, Beaus Brummel, an entire cuisine, a few score sommeliers and maitres d’ and one exchange student in high school. I lived in pitiful ignorance of the flâneurs but, thanks to the Grey Lady, no more. Evgeny Morozov brought me to speed on February 4th. His editorial in the Times noted the coming demise not of the last Flâneur, who has long since shuffled off this mortal coil, but of the cyberflâneur, a latter days incarnation of the same spirit, who began to graze the Internet around the fin of the last siècle, and whose herd, it seems, is in danger of thinning. The news made me feel old and out of touch. I had never met a cyberflâneur, and here they were, on the way out. The flâneur himself was the model of refinement, an eclectic sampler of the beautiful and the varied. I cannot help but him imagine him stepping, lean and graceful as a crane, from the green and white bottle of talc that sits beside my barber’s mirror. 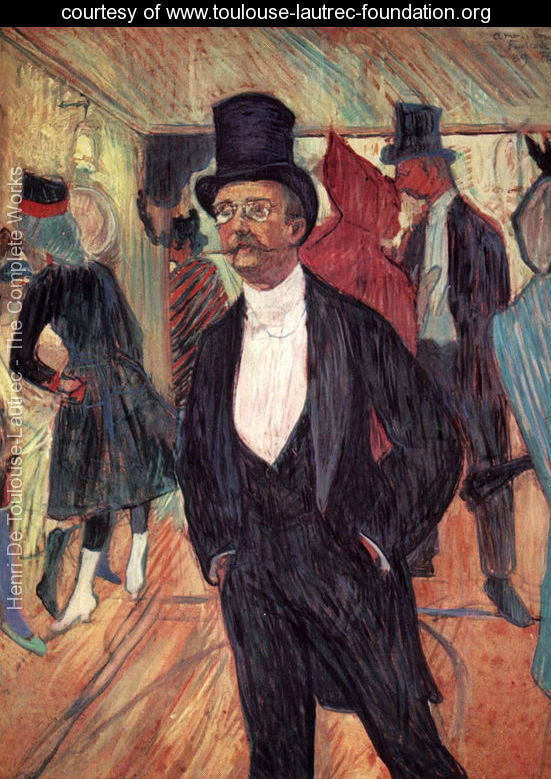 While not deliberately concealing his identity, the flâneur preferred to stroll incognito. “The art that the flâneur masters is that of seeing without being caught looking,” the Polish sociologist Zygmunt Bauman once remarked. The idea of exploring cyberspace as virgin territory, not yet colonized by governments and corporations, was romantic; that romanticism was even reflected in the names of early browsers (“Internet Explorer,” “Netscape Navigator”). Online communities like GeoCities and Tripod were the true digital arcades of that period, trading in the most obscure and the most peculiar, without any sort of hierarchy ranking them by popularity or commercial value. Back then eBay was weirder than most flea markets; strolling through its virtual stands was far more pleasurable than buying any of the items. For a brief moment in the mid-1990s, it did seem that the Internet might trigger an unexpected renaissance of flânerie. Morozov is exactly wrong, except to invoke the flea market, with its shabby, picked over eclecticism. The fractured, quirky web of 1995 was less Parisian arcade than small town thrift store. There is a difference between wondering through an endless cornucopia of content and wandering what to make of a random assembly of odd lots. Does anyone else remember Geocities or CompuServe as “stylish, lively and bustling?” No one, I suspect, who isn’t depending of that characterization to lay the groundwork for a shaky analogy meant to make the Internet we inhabit seem coarse and philistine. Morozov has a bone to pick with a certain twenty-something billionaire, but the charge he has chosen to level does not fit the facts. While I quickly found other contemporaneous commentators who believed that flânerie would flourish online, the sad state of today’s Internet suggests that they couldn’t have been more wrong. Cyberflâneurs are few and far between, while the very practice of cyberflânerie seems at odds with the world of social media. What went wrong? And should we worry? I am worried that anyone would take seriously the comparison between Mark Zuckerberg and Baron Haussmann. The later was charged by Napoleon III with the most ambitious act of urban renewal of its age. Over thirty years, Haussmann, armed with geometry and sometimes cannon, cut the network of avenues, boulevards, squares and focal points that give modern Paris its character and shape. If you are like me, you imagine the dandy depicted above strolling the grand promenades of that city. Plainly the New York Times did, just look at the illustration it gave Morozov’s opinion piece. But you would be wrong. The Paris of Haussmann is precisely the development against which Morozov inveighs. The city through which Haussmann cut his boulevards was a medieval warren, a sprawling amalgam of narrow streets and countless alleys. The imposition of geometric order on that was more than just a grand harmonizing aesthetic vision. In the wake of 1848, the boulevards and avenues that bisected the city vouchsafed its rulers the ability to rapidly deploy large bodies of troops in organized formations, ensuring political order as well. It is wrong to compare the Internet of 1995 with the Paris of 1855 on a number of levels. The latter was already a great city, not a fledgling virtual community, for centuries the center of a great nation and sometimes empire, an urban crossroads that was nearing the end of its second millennium. The Web of 1995 was nothing like that. It was a slowly connecting network of isolated frontier towns, growing together but still very much separated by the lack of bandwidth, the lack of speed, and the lack of a real reason for anyone to go there. The flâneurs, we are told, “had all the time in the world: there were reports of flâneurs taking turtles for a walk.” We are invited to image the cyberflâneur, leashed to his 1,200 baud turtle, savoring the virgin web in demitasse sips. But really, what was there to savor in the age of dial-up and bulletin boards? The pilgrims in that wilderness may have been drawn by the novelty of the medium, and its potential. But the offerings? The reason the flâneur is “now firmly associated with 19th-century Paris,” and not the Provo of 1952 is because the “gastronomy of the eye” depended upon what the former could offer and the latter did not, a critical mass of culture, talent, learning and commerce drawn from the ends of the Earth and compressed within the confines of a finite space. Like the Internet, in 2012. Everything that makes cyberflânerie possible — solitude and individuality, anonymity and opacity, mystery and ambivalence, curiosity and risk-taking — is under assault by that company. And it’s not just any company: with 845 million active users worldwide, where Facebook goes, arguably, so goes the Internet. The trouble is that everything that makes cyberflânerie worthwhile depends on a web fully populated by users with a diversity of interests, talents and obsessions as broad as human experience. Yes, the internet today is useful, and something to which we can turn for practical information and not just indulgent browsing. But that hardly negates the fact that the fields of content through which we can browse have expanded to the edges of human experience, and that the Internet has become what Paris, London, New York and few other places were in the 19th century – ganglions of information, crossroads of culture, the universality of which permitted collaboration, derivation and innovation like nowhere else. Morozov never explains how the randomness and potential for surprise inherent in the Web, in all its vastness, will be undermined because Facebook has embraced a model of social browsing that encourages the user to share her own random walks with anyone who cares to hear. I am grateful for a way to share what I experience with those whose interest might be similarly piqued. But I am not compelled to share, nor to follow in their footsteps. Opacity, solitude and ambivalence are still there for the taking. Anyone who has lost an evening to a random walk through Wikipedia knows just what I mean. If Morozov is right, something (the Internet) that did not exist in my prime (May 1988, for those of you keeping track) has now outgrown its golden age, and before long, I’ll be rambling on about what I saw on a black and white screen in my youth. At least my grandfather got to watch prize fights in bars. For me, the golden age was Prodigy. But Morozov is wrong. He has constructed a sentimental past wistful for an imagined future that never came to pass. 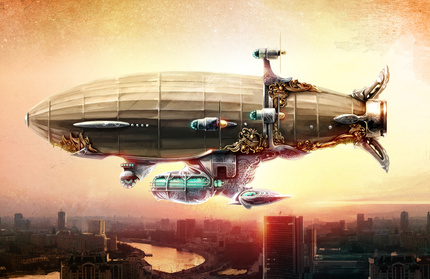 Mourning the passing of the cyberflâneur is like waxing nostalgic for the lost steampunk zeppelins. Surely such a thing was inevitable, and yet . . . Billions now turn daily to the Internet as a means of edification, relaxation, social interaction, and knowledge. There is more than a slight note of elitism in mourning the loss of the day in which the Web was the province of a curious few, an avant-garde of adventurous dilettantes with nothing better to do than wile away the hours perusing the pickings on the fetal Ebay. The Internet is too big, too global, too common to be cool anymore. Too much a part of everyday life to validate the smug self-satisfaction of the sort of people who colonized it. It seems that colonists always resent the new arrivals. In America, in the latest warehouse block to gentrify, and now online. So shed a tear for the lost Web, vanished in the impressionistic mists of a hazy golden age. It was our youth. Our Paris. Our moveable feast. No, mon ami, we will never be young again, but we’ll always have Prodigy. Au revoir cyberflaneur. This world was never meant for one as beautiful as you. Now excuse the rest of us. We have kitten videos to post on Facebook.